Hey guys! Bourjois is a brand that I am a big fan of. I gave many positive reviews on their foundation and lipsticks and etc… and it has never let me down. 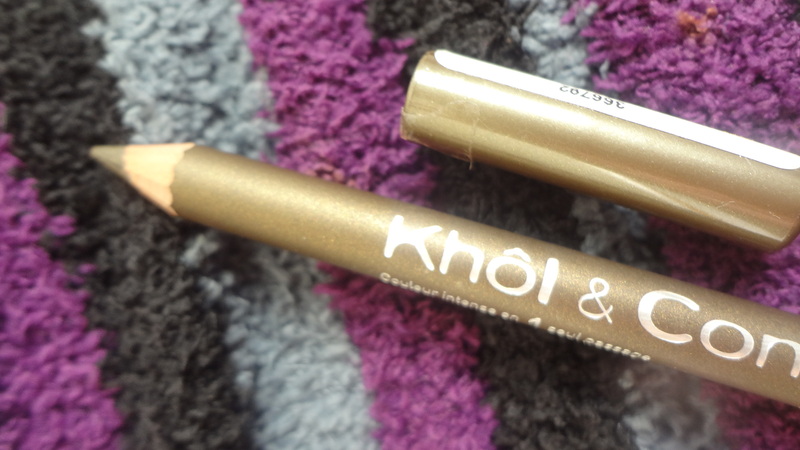 I’m so thrilled to try this eyeliner which is this Khol & Contour eyeliner in Bronze Raffine. It’s a really nice color of Bronze-y shade. There are 7 different color shades available on their website but I got mine from Winners. You can also find it at Amazon for $12.90 but they only have it on Ultra Black. 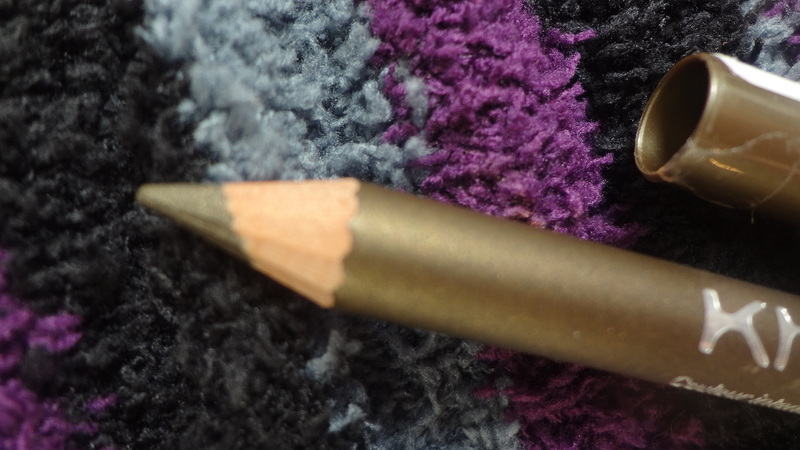 The color payoff is definitely good as compared to other kohl pencils which I have tried before so far. It designed to be worn at the inner and outer rim of the eyes. Today I’m reviewing this Bronze Raffine shade and not Ultra Black. 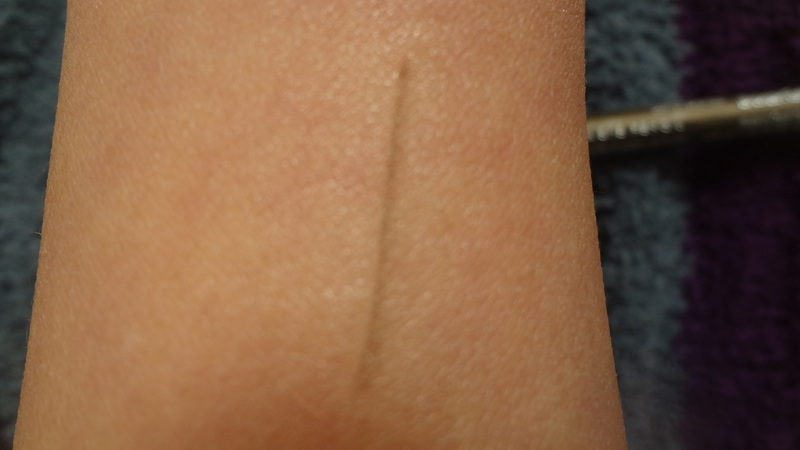 This kohl pencil has quite an intense line even with a single swipe as the swatch below. It glides very smoothly and it does not sting the waterline. With its soft formula, I can easily create a smudge look around my eyes and when it’s sharpened, the pencil draws an accurate lines. This would be a nice liner to draw on waterline and to make smoky eyes look distinctively beautiful. Basically, this Khol pencil can be used for waterline, upper and lower lash line. I made a single swipe swatch to show that it soft and doesn’t drag on skin. Bourjois says that this Khol eyeliner pencil has a long lasting wear of 16 hours and it’s waterproof. Meaning for drawing waterline, this kohl pencil will not be a problem, after all it’s waterproof. Yay!! Overall, I do like this khol eyeliner pencil and I’m happy that it was my autumn liner purchased which I won’t regret getting. On top of that, I’m planning to get another Ultra Black shade for a more intense line finish for an extreme smoky eye look. So, that’s all for my take on this bourjois Khol liner and hope you find this helpful. 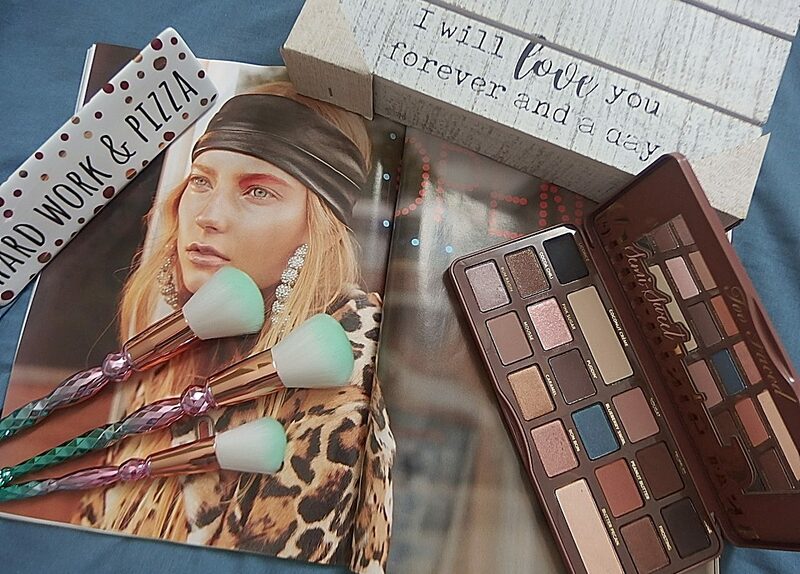 What is your favorite Khol eyeliner brand? Please leave comment below.